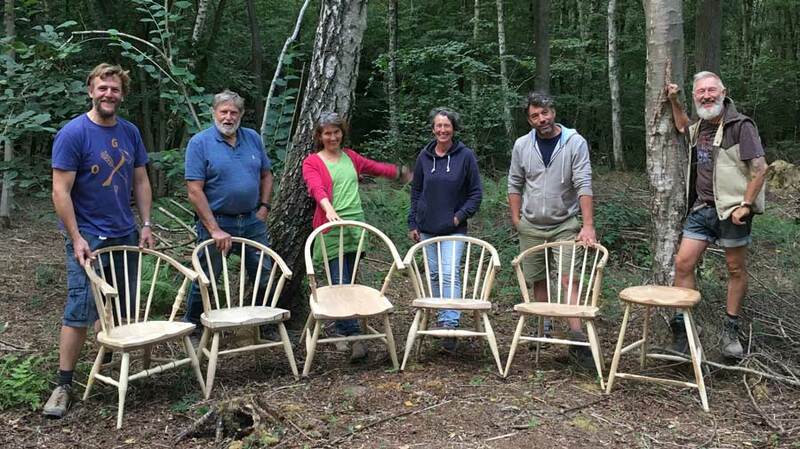 Six day chairmaking courses set in ancient Sussex woodland, 15 miles north of Brighton. Learn all the green woodworking skills you need to make a handsome and strong English Windsor chair. 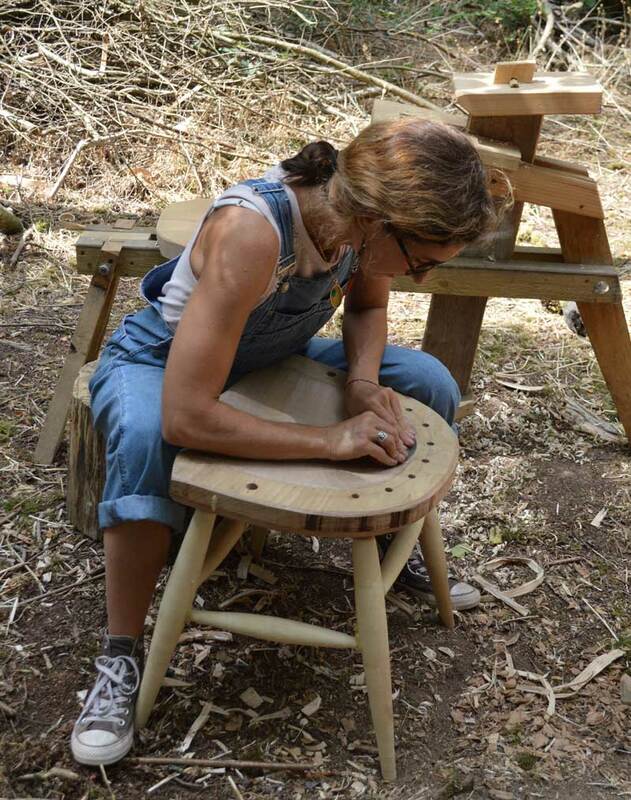 The course is set in a charming outdoor summer workshop, and is taught by professional chair maker, Jason Mosseri. 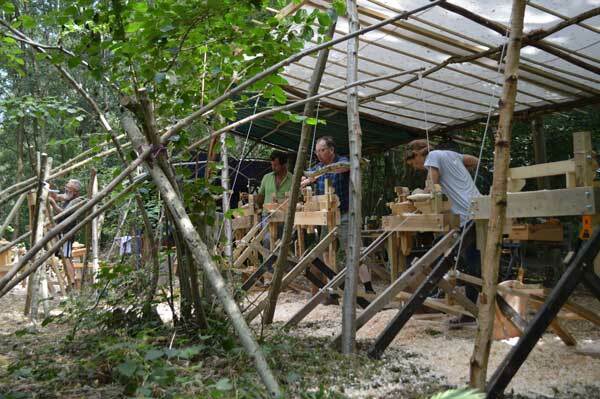 You will learn how to select a suitable green Ash log, cleave it into parts, and, using a wooden spring pole lathe, “turn” these parts into legs and stretchers. Then, using a shave horse and drawknife, you will make your spindles. Bows and crests will be steamed and then bent onto simple forms. 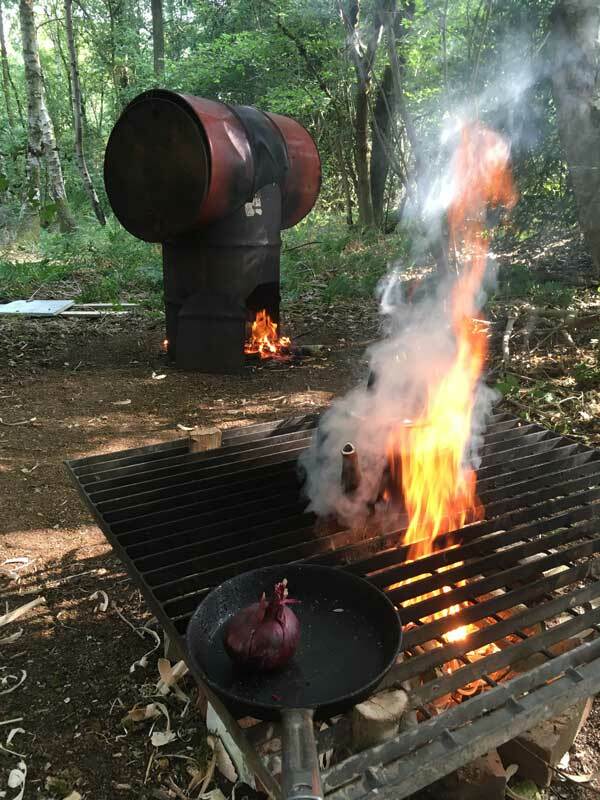 Whilst these are all drying in the wood fired kiln, participants will be taught how to carve a seat using an Adze and a Travisher. Finally, after drilling the mortices and turning the tenons, we will frame the chair. At the end of the six days, you will leave with a strong, elegant chair made by your own fair hand! Working in a lovely woodland setting for a week will give you the opportunity to settle into the tranquility of nature, and to deeply relax. 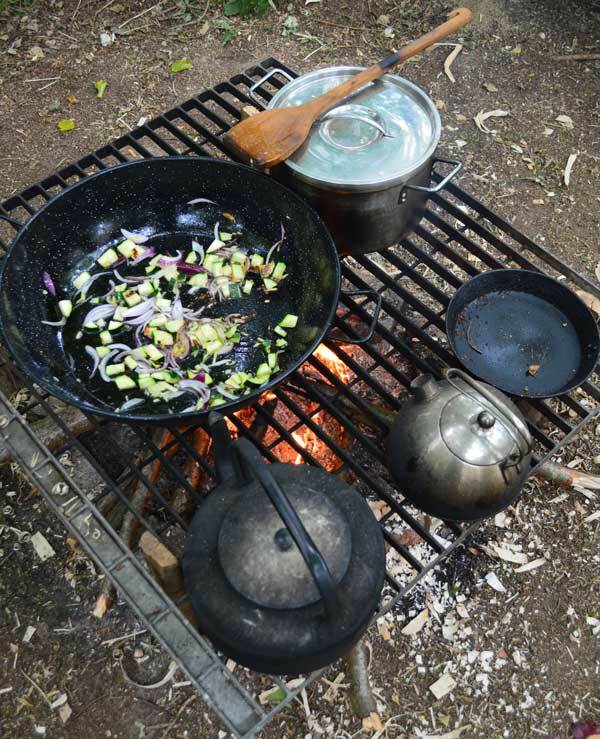 Frequent tea breaks are encouraged, and the kettle’s always hot! The two basic chairs that I teach, use all the above techniques, and are achievable with no previous experience. If you are experienced, and are seeking to improve and hone your skills, you can chose to make a more complicated chair, just let me know your ideas in advance. To check availability, to ask me a question or to book, please email me : hopespringschairs@gmail.com or phone, 07795 114 982. Payment can be made by PayPal, cheque or BACS. Groups will be of six people at the most. The woodland is situated 15 miles north of Brighton.